Kieran is braver and stronger than most eleven-year-old boys. And ever since his father's death, he's been doing his best to take care of his mother and little brother. In fifth-century Ireland, though, there aren't many options. But the hardest question for Kieran to answer is the one Patrick had asked him on a moonlit night: What does your heart hunt for? 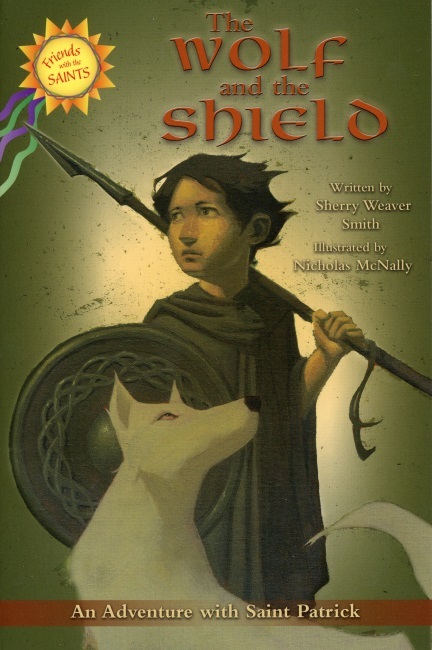 Filled with well-researched facts about the people, animals, and customs of fifth-century Ireland, The Wolf and the Shield is exciting and fast-paced. This adventure novel explores what friendship with a saint might be like, showing Saint Patrick as approachable and understanding of the challenges of a young boy. It will stimulate young imaginations to realize that the saints are holy but also human and approachable, and they are always good friends. Recommended for grades 3-6. Black and white illustrations. 2016 copyright. 5.5 x 8.5 inches. 118pp.